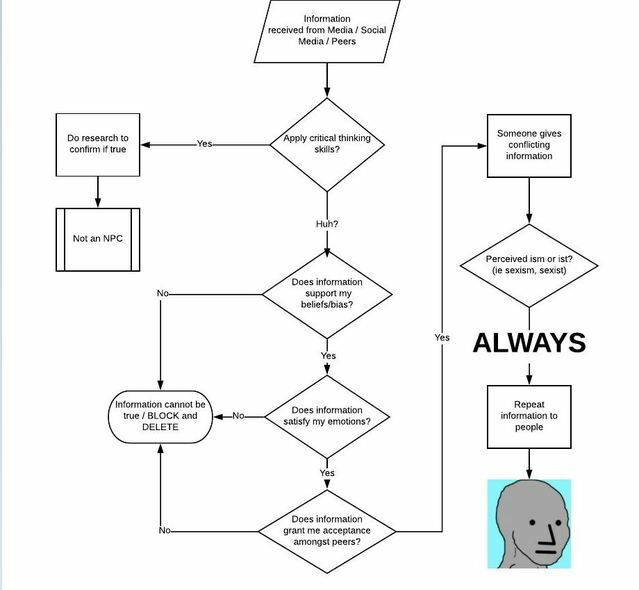 Are you an NPC? -- the flowchart. You know what it means if you didn't like this post, right? You friggin' non-player character.